IPD is the new exclusive home for Electtronica Santerno solutions. A leader in producing highly effective power electronics, this partnership “benefits electrical contractors working on industrial projects”. IPD will be distributing a new range of general multipurpose and high-performance drives manufactured by Santerno. With more than 40 years’ experience, Electtronica Santerno products feature robust design and scalable drives up to 3,000kW operating at up to 690Vac. The drives are compliant to CDM IE2 standards according to IEC 61800-9-2, which makes these products ideal for industrial motor control applications. Electtronica Santerno’s specialisation is industrial applications such as inverters for water pumping and treatment, conditioning systems, regenerative overhead cranes and high-power conveyor belts, photovoltaic inverters, inverters for wind generators and hybrid systems of electric traction. 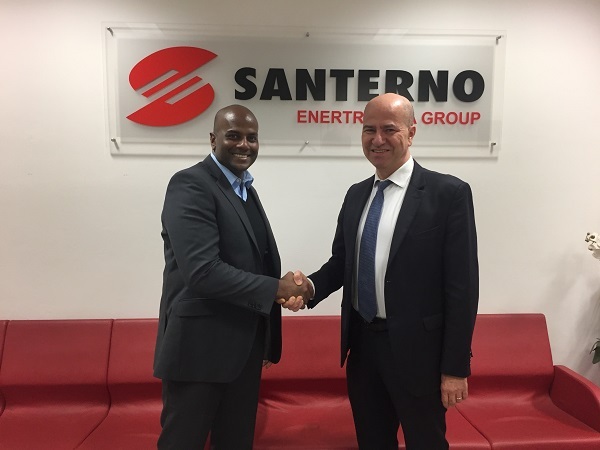 “As an organisation leading in electronics, we are pleased to be partnering with IPD, another organisation who shares our passion and values,” says general manager Franko Santerno.